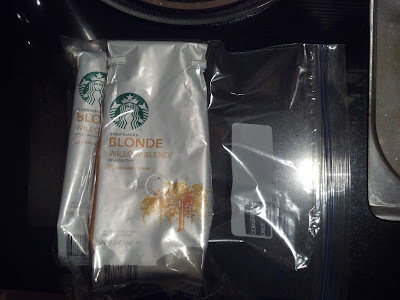 Did you know that for every empty bag of Starbucks coffee, you can exchange it for a tall brewed coffee at any Starbucks store? Neat! **BTW, the offer for the exchange is good up until 30 days after the Best Buy date stamped on the bag.